Durango Station Resort by Station Casinos will break ground in 2009. The first Durango Station casino hotel will include meeting space, arcade, 201 room hotel, shopping, restaurants and swimming pool with an opening two years later. Within the past week Station Casinos unveiled their hotel casino plans for the development of 70 acres on the Las Vegas Beltway and Durango Drive. An undisclosed purchase amount in 2000 from Jim Rhodes for the area adjacent to the Las Vegas master plan called Rhodes Ranch. Similar to The District at Green Valley with a shopping complex included with Green Valley Ranch hotel, Durango Station Las Vegas hotel is being planned with a shopping component. The second phase of the hotel, not yet set a date for construction, will include 525 rooms not yet set a date for construction.A joint venture partner to operate the retail area will be announced shortly. This agreement is similar to several other large Las Vegas hotel casinos partnerships. This is a first time for Station Casinos to include a large scale retail project within their casino. 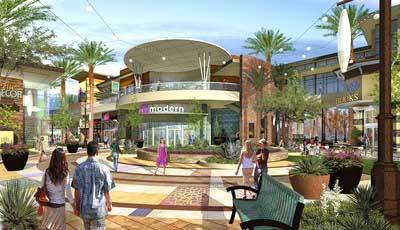 Plan submittal of the outdoor 190,000 square foot retail center will commence next week to Clark County. This is similar to the outdoor Town Square Las Vegas shopping center. Durango Station Resort by Station Casinos will break ground in 2009.